Start Your Trading Day with Actionable Option Trades, Option Movers, Unusual Options Activity, Trade Ideas, and More. 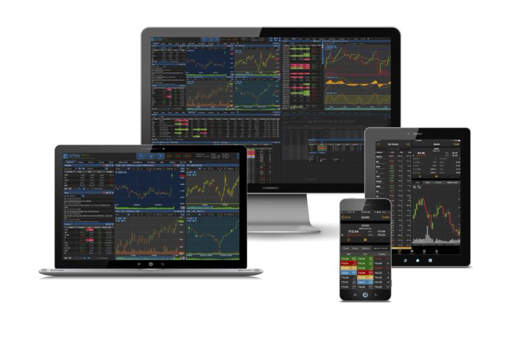 Trade Stocks & Options on iPhone, Android, or Web. Signup for Free IOS, Android, and Web Apps. Trade Stocks and Options Intuitively. Quickly Enter Orders for Stocks, ETFs, and Options Trades. Trade Options from the Streaming Options Screen. Click on any Option Price for Intuitive Options Order Entry. Simple and Complex Options Spread Trading Strategies are Available. 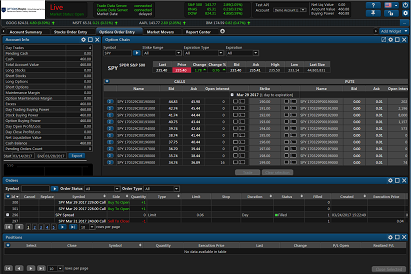 Enter Option Spreads and Trade Rolls. Point and Click Anywhere on a Chart and Enter Your Order. Trading from Charts is Included. Integrated Charting Analysis includes 25+ Technical Analysis Studies and Tools. Trade using IOS, Android, or Web. Download Free IOS, Android, or Web Apps. Enter Buy, Sell, Stop, Trailing Stop, Trailing Stop Limit, One Cancels Other Orders, One Triggers Other Orders. Enter Trailing Stop Orders on Stocks and Options. Trade from Charts by Pressing on Any Chart. Easily Open/Close, Reverse, or Rollover Positions. Trade from iPhone/iWatch, iPad, Android or Web. Open a New Account Today. Open an OptionsRoute Online Brokerage Account Today. Apply Online. Our New Account Application takes about 10 minutes to complete. Deposit Funds to your Account using ACH, Wire, Check Deposit or Brokerage Account Transfer. Start Trading Stocks and Options after your OptionsRoute Online Brokerage Account is Funded.